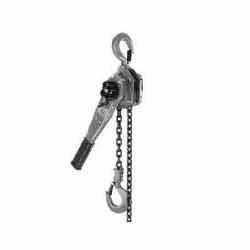 Keeping in mind the diverse requirements of the clients, we offer our clients a functionally advanced array of Ratchet Chain Hoists that is durable and reliable in nature. Our associates ensure that the entire product range is in compliance with set quality standards and in order to maintain the same we manufacture them using quality assured raw components sourced from certified vendors of the industry. Elite Industrial Corporation came into being in the year 2013 and is Honored member of Ranigunj Welfare Merchant Association, Secunderabadand carved a niche as the leading importer, supplier, distributor, manufacturer, exporter & trader of the wide range of Measuring Instruments, Lifting Equipment, Machine Tools and many more. All these products stands high in terms of varied features such as high performance, high quality, flawless finish, superlative performance and many more. Sourced from known vendors our products stand high in terms of quality and low whereas price is concerned. Mr. Mohammad Ezzy (Proprietor) has played a prominent role in our success. He knows what actually is demanded by the clients and how to serve them in an appropriate manner.